Did you just spill a drink on your Macbook or Macbook pro? 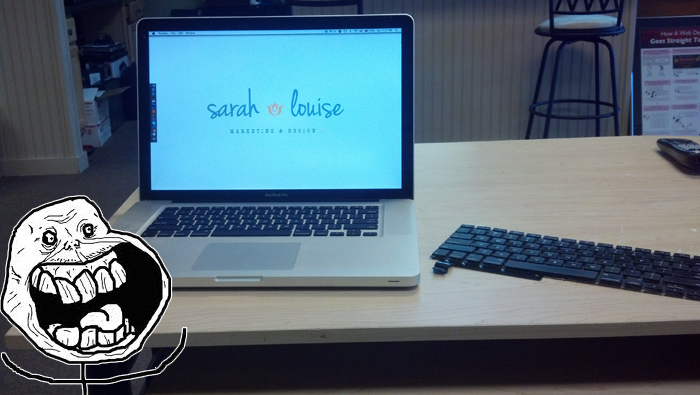 Sarah from North Carolina did, so she sent it to us to have it fixed! Just like in life, there are no guarantees, pretty much the same goes for this repair. If you’d like us to attempt fix your water damaged macbook or macbook pro – feel free to contact us with or without your entire life story leading up to the point of the water damage. This article will cover the basic manual logic board boot to test for logic board damage and replacement of the laptops keyboard. Because Macbook’s have their power button attached to the keyboard, it is impossible to determine if the machine will boot unless you manually jump start the board. Be aware of the fact that water will rust and corrode connections and there are separate/possible fixes for that. However, I am limiting this article to just the manual logic board jump start. If you’re going to attempt this yourself, read on, we’re not responsible for further destruction. 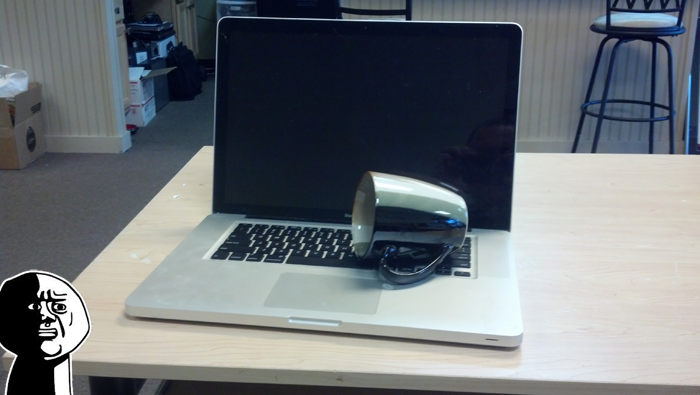 IMPORTANT: You need to let your Macbook dry out for a day or two. 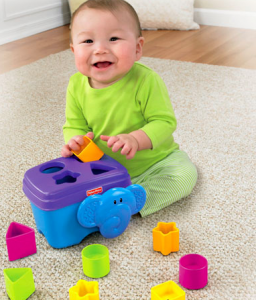 Or spot dry as much visible water spill as possible. Do whatever you can to get the water out of the laptop, without making more of a mess or a chance for the water to circulate deeper into the laptop. Important: The power button is attached to the keyboard so if your machine won’t boot, it’s normal. Luckily we can short the contacts of the power connector and boot the board. 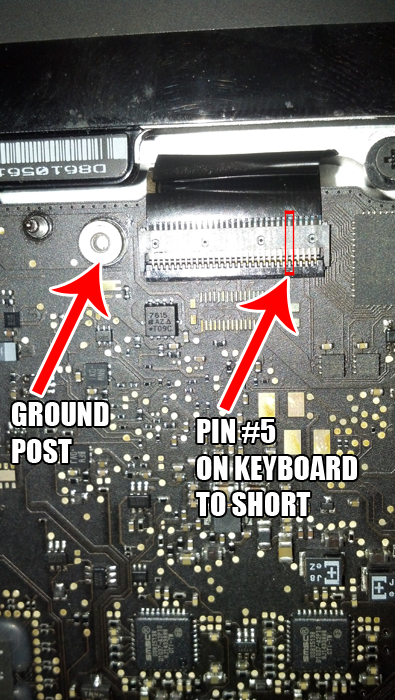 Shorting Pin #5 on the keyboard connection (#5 from the right with battery facing up) of the logic board to a ground point will boot the laptop. This is true for most late model macbooks and macbook pros from 2008~present. Some models have different ways to do this, however this will work for 90% of the newer unibody laptops. If it doesn’t boot up, you can try and locate any obvious signs of stains / corrosion but things will be looking grim if its not obvious enough. Every machine is different so without seeing it in person it’s tough to say what is preventing the machine from booting. Check RAM, battery, AC Adapter only plugged in etc. If it boots up great, you’ll hear the Apple Chime and be sure to clean any left over residue with contact cleaner as best as possible when disassembling the unit. Now you need to take the keyboard out. This is different on all models but basically the same. The logic board, optical drive and anything else blocking the path to the keyboard needs to be removed. Screws screws and more screws. 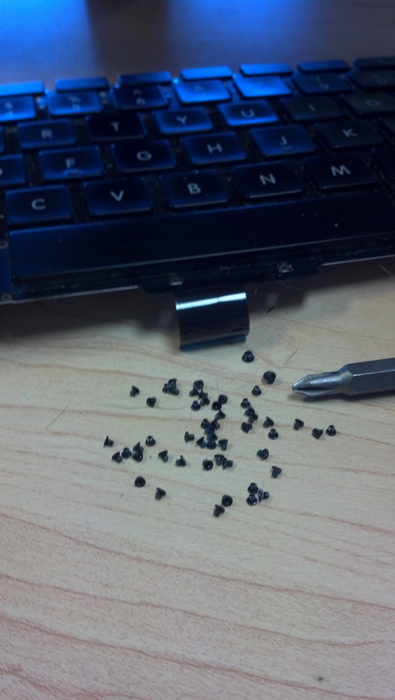 You’ll be disassembling the entire machine to get to the keyboard.